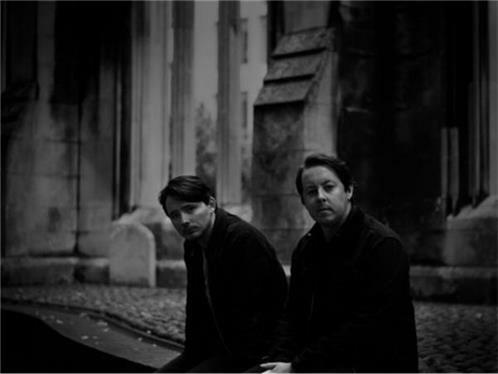 Operating out of their basement studio in London, TENDER create beautifully seductive dark electronica in the same vein as Jungle or Caribou. Today the duo share "Erode," the first track off their debut full-length album out this summer on Partisan Records. TENDER's lyrics explore the raw, often devastating, emotions that accompany falling in and out of love. "Erode"-- marked by the bands signature minimalist guitar work, swelling synths and crooning vocals-- is a meditation on the healing and work that goes into rebuilding one's self after a relationship takes its toll. Made of two childhood friends, James Cullen and Dan Cobb, TENDER have amassed +10Million streams online for three previously released EPs, reaching Hype Machine's #1 spot several times. They were named one of VEVO's dscvr "Ones To Watch" artists of 2017 and just sold out a London gig last week.